I search for a case, which has an opening for the pinhole camera on the side, not on the top. It would be even better, if it would be a case for a Zero W. Can you recommend a model? Actually I am surprised that it is not so easy to find suitable cases with pinhole openings on the side. raspenger, do you mean pinhole as in "no optics but a tiny hole", or pinhole as in the more recent "any small covert digital camera" meaning? As a dedicated Zero Image owner who has a couple of clone camera modules on the way for modding with a copper foil pinhole, I kinda hope the former. In my case that’s what I mean by pinhole. Those zeros are nice but the website does not make it easy to see the camera or work out the cost! Hmm 1/100 focal distance = 0.03mm or smaller? 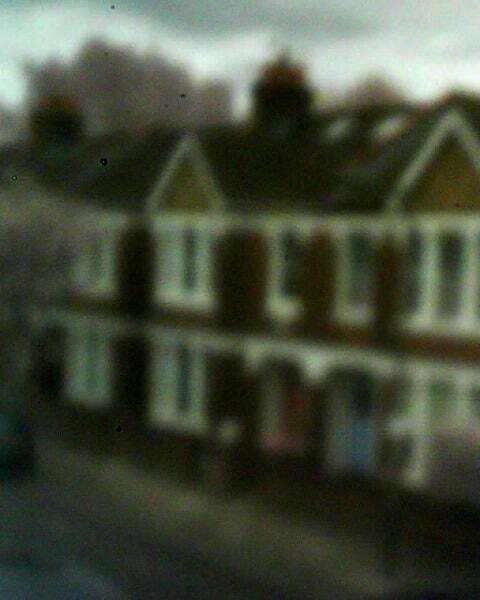 I doubt you can get useful images from a Pi camera and a pinhole. A pinhole doesn't let in much light which means you need long exposures with film and a CMOS cameraphone sensor will have too much noise and too short exposure times. Also, the small sixe of pixels on a small sensor will be beyond the resolution the pinhole can achieve to the image will be blurry. Which is not to say it can't be done, just that the results will be poor. Here is an example os a pinhole camera built with a Pi camera V2 and a Pi Zero. Does the OP really mean a pin hole camera or the pi camera, as l've never seen a case with a pin hole on the top? A needle and a scanner to measure it with will do just fine. It hadn't occurred to me that you could buy such a minute drill. A pricey item though. You can manage with a needle and part of the fun is trying to get a good hole! At least with digital you do not ‘waste’ paper and developer / fix key thing I found was to gently push and polish the foil on the back to close the hole slightly. I’ve not tried the sandpaper option from here as I use normal cooking foil. If anyone fancies the more classic way to do this or wants to try with a DSLR then head to http://pinholesolutions.co.uk for equipment. Diamond wheel and air bearing spindle? What the smallest hole a YAG laser can make? Perhaps the term pinhole was misleading. But indeed I meant a case with an opening for the camera one the side, not on top. About the 3D printers: I have no experience in that area. And I do not know if there could be health issues. I mean, who guarantees me that that material won''t lead to illnesses or something like that. May sound stupid, but most products, which I would buy have some label/certificate according to EC law and therefore guarantee their safety. 3D prints from PLA should be ok, that's made from Corn I think. Wooden cases are getting popular, even seen bamboo keyboard. But that case looks interesting. Would still need one of those USB to Sata cables. About the 3D printers: I have no experience in that area. And I do not know if there could be health issues. Most plastic Raspberry Pi cases you'll buy are made of ABS: a mixture of three different plastic stocks that combine strength, toughness and low cost. There's probably a lot of filler (chalk) and optical brightener (titanium dioxide) in there too. It's generally considered safe unless you start burning it. ABS is still a fairly popular 3D printing material, but it stinks of burning car tyres while printing. PLA is the standard 3d printing filament these days: cheap, accurate, pretty, biodegradable but usually quite brittle. Some PLA will smell somewhere between waffles and maple syrup when printing. Although it's made from food stock, please don't eat it. PETG (the plastic bottle material, with Glycol added (I think) to assist with extrusion) is pretty common. Though it prints hotter than PLA and ABS, it appears to have no (or trace) VOC emissions when printing. The biggest issue you might hit when printing with higher-temperature materials is PTFE fumes if your printer uses it near the hot end. PTFE fumes are no joke (ask any dead canary) but PETG just sneaks in under that temperature. Once printed, most 3d printed materials are generally considered safe. Yeah, that looks really great. I will search if they also have something like that for the zero. Since I'm allergic to chocolate, I wouldn't have mentioned it under “generally considered safe”. Also the last chocolate printer I saw (a failed local startup) used laser sintering and ended up making inedible (even by your standards) burnt things.